Please note: This app is rated 9+ for mild/infrequent cartoon or fantasy violence. It also includes app store links for a solution guide and the developer’s other available apps. Please consider this before purchasing for younger children. As our world becomes driven more and more by technology, we have begun to lose something as kids spend less time playing with blocks and other building toys. In the past, those toys taught children early lessons in physics, problem solving, and critical thinking. But never fear – there’s an app for that! 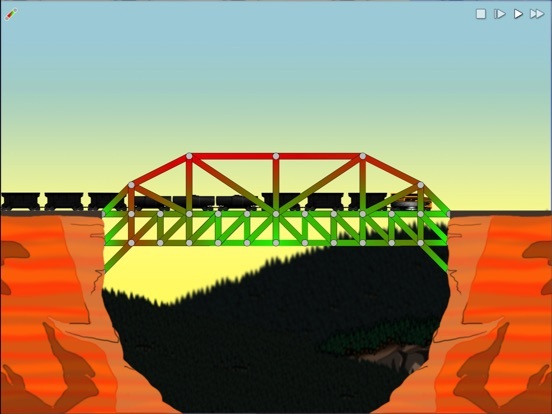 Simple Physics allows these lessons to be brought back into play, by using technology to simulate hands-on experiences. 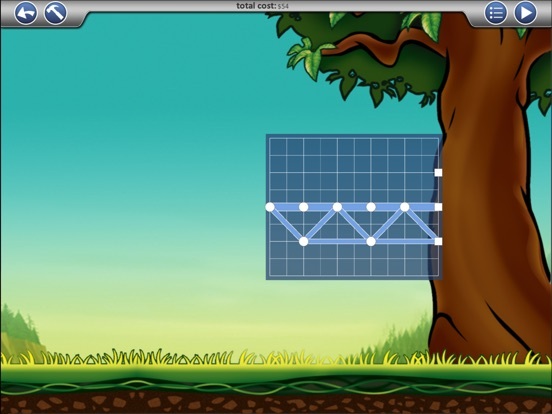 Simple Physics teaches children to use physics concepts through a traditional game-style app. 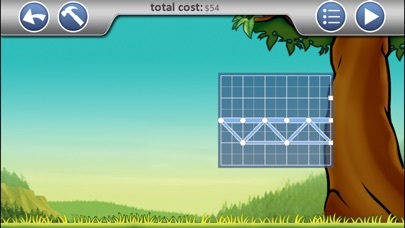 The user begins by watching a quick tutorial that demonstrates how to use the tools in the app and explains how to gain points. 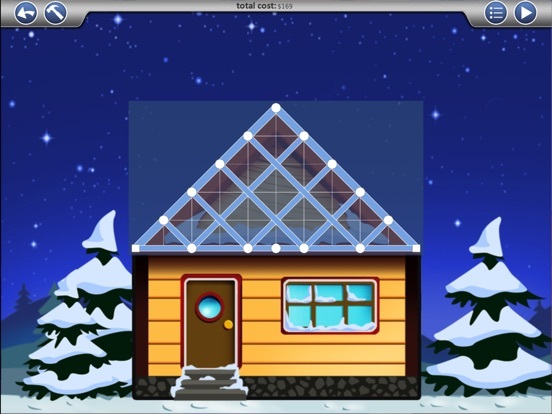 Once finished with this, the player moves on to build a series of objects. The final structure must meet certain size and weight bearing requirements. The user gains points by building a solid structure and by staying under the given budget. 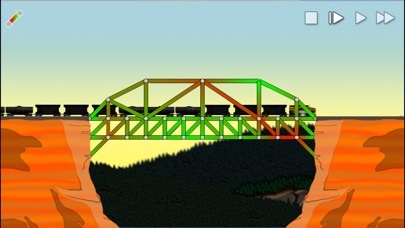 Once one structure is built successfully, the player can move on to the next, more challenging, task. The app has several options that add to the fun. While in building mode, tap on the menu button in the upper right corner. From here, you can see a leader board that displays the top game scores for each puzzle. You can also choose to test your structure, which allows you to see a color coded visual of weak points, push and pull at your structure to test stability, use dummies to add weight, or use explosives to blow it up if you choose. You can see the task description, and there is also a link to a solutions app if you can’t figure out how to pass the level (currently priced at $0.99). In addition, you can save or email blueprints of your creations. 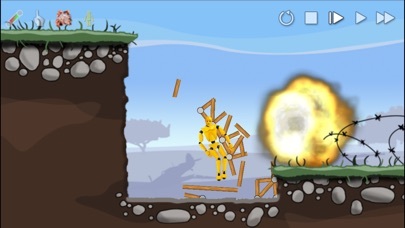 This app offers a solution to one of the downfalls of the children of today spending more time with technological toys. It is quite engaging, even addictive, to try and figure out how to build the structures under budget. 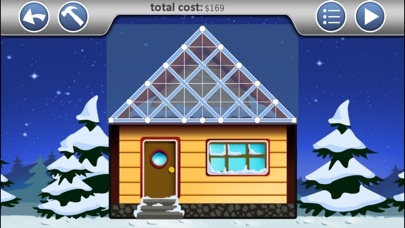 Since the user is asked to build structures that are found in everyday life and work within a budget, it makes the game applicable to real life situations. This is an app that can be enjoyed by a large age range, anywhere from age 9 up, including adults. It is easy to learn, and the increasing challenge of the building tasks prevent boredom. The only drawbacks I can find of the app are that it does include the opportunity to blow things up, which some parents may dislike, and it does not include any instruction on why or how to build in certain ways. It seems the app is missing out on an excellent opportunity to teach explicitly about physics and geometry principals. Children will learn by trial and error how to build stronger structures, but the benefit of technology is the opportunity to take playtime to a higher education level. It is, of course, a game that is meant to be challenging; but I would like to see an explanation once the level is completed that gives more information on the solution. A solution guide, unendorsed by the developer, is available in the app store, but was not evaluated for this review. Simple Physics is a unique, well designed, challenging game that fills a need in the world of kids apps, making it absolutely worth while and absolutely worth the $1.99 price. A wise person once said: “An engineer is someone who can do for a dime what any fool can do for a dollar.” In SimplePhysics, your design must not only be strong enough, it must be cheap enough to win. With the built-in Leaderboards, you can also compete with people all around the world to see who can create the most cost effective designs. 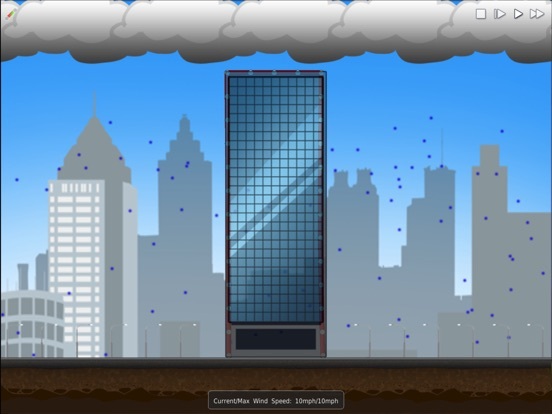 * Finger Test – smash your design to pieces, or blow it up with realistic explosions!